I was asked where she purchased it. The answer is, she found it on a site called Etsy - no not Ebay. 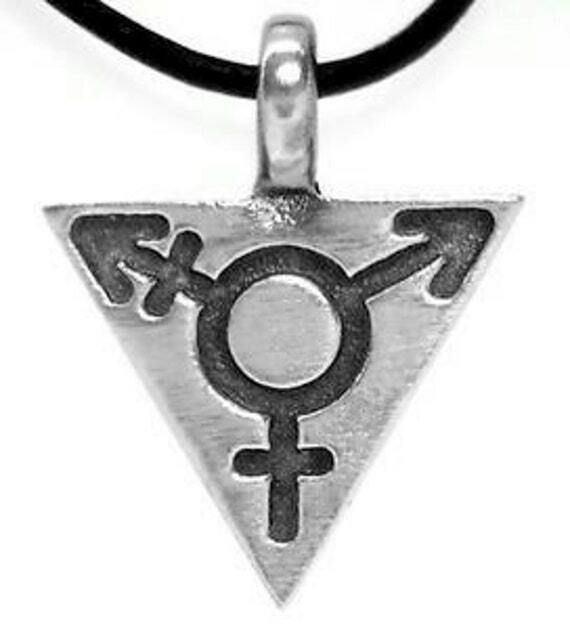 If you go their home page and type in "transgender"-you will get an option for jewelry. There are many but this one comes from a place called Beach Side Jewelry Shop. Liz preferred their work because they use pewter and have different designs for Wiccan's like her! If it matters, the one I have is about 3/4's of the sample above and inside the inner circle is a stone of some sort. I love it!